Wouldn’t you like to wake up to see this shell filled beach view for 5 nights on Sanibel? To help shellebrate our iLoveShelling 5 year Shellaversary last week, Island Inn Sanibel was gracious enough to give away 5 nights stay for two people at their beautiful beachfront resort to drink in this view and experience this amazing place. By computer random pick, the shellucky winner has been chosen! The winner is …. Cynthia S. From Nahunta, Georgia! Congratshellations Cynthia, You will have a blast! Seriously, Thank you Island Inn for your continued support to our fab shelling community. Ooooo ya, and that’s not all… I have other fun news too. On Saturday December 6, I get to pick a different kind of winner because I have been selected to be a judge for the 2014 Captiva Holiday Village Golf Cart Parade. It’s the cutest little holiday parade you’ve ever seen- I’m so excited! For the last several years Clark and I have participated in our own golf cart, the Junonia Jalopy. So Yes, I get to be a judge this year… but hold on… You get to be a judge too! This year the committee has invited YOU to judge this year’s parade with awarding one cart with a People’s Choice Award. A photo of each cart will be taken at check-in and posted to Facebook.com/CaptivaGolfCartParade so you can choose your fave decorated golf cart through Friday, Dec. 12 then a winner will be chosen from your votes. Fun, huh? Come join us for a really fun day for the parade, awards and then that same evening we celebrate Captiva Luminary. The whole island of Captiva is lit up with the holiday spirit with restaurants, retailers and all business open their doors serving holiday cheer and sounds of carolers on every corner. Want more holiday cheer? The holiday festivities actually start on Friday night with Sanibel’s luminary with Periwinkle Way lined with glowing candles. If you’ve never seen Sanibel and Captiva during December, it warms the heart. 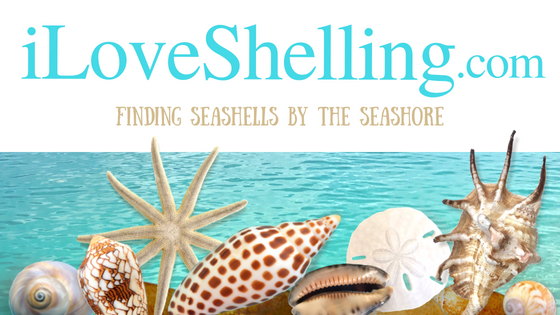 One more thing… if you didn’t win the Island Inn‘s 5 night GiveAway, I have another GiveAway in the works to shellebrate iLoveShelling’s 5 year Shellaversary. Just in time for the Shelladays! Keep your eyes peeled for my next GiveAway coming soon. Congratulations to Cynthia !! I know she will have a great time! CONGRATS to the lucky winner! And to the new Judge! Congrats to Cynthia for winning the contest. Pam have fun judging the carts at the parade. We’ll be there to watch. The last time we were on Sanibel and Captiva in December was in 1978. We are looking forward to all the holiday festivities. Ahhhhh, I am SO looking forward to coming to Florida in December, it’s ridiculous!! It’s not even that cold here in Toronto yet but I’ve been thinking about Christmastime, and that always makes me think about how fun it is to drive down south………. I say “Heck no! I wouldn’t trade my WHITE SAND Christmas for anything!!! !” I tell them how out of all the Christmas celebrations I’ve seen, Floridians celebrate with the most spirit!! It’s really a treat to be a part of it. One of my favourite events is tracking down Santa’s 2-vehicle Christmas Eve ‘parade’ in Treasure Island, amidst all the man-made finger-isles, and seeing all the participants who’ve set up luminaries (so beautiful!!!!) and are sitting outside wishing everyone who passes a very merry Christmas. It is so sweet :) Thanks for the happy thoughts!! Congrats Cynthia!! And thank you again Pam for continuing to share your shelling knowledge and keeping us up here in the north with a shelling and sunshine fix!! Yay for Cynthia!! Missing the beach all the time, thanks again Pam! good going Cynthia hope you have a blast with pam and clark. Congratulations Cynthia! Any friend of Iloveshelling and the Island Inn is a friend of ours. Enjoy yourselves! Hey Linda K –my birthday is Dec 6th, too! Year 1960, and born in Syracuse, now live in Seattle, but so love being on Sanibel. March–never been, have you? Will stay off island, but so happy to look forward to being there during this time!! So sad not to win…but congrats to Cynthia! We just got back from a spur of the moment weekend jaunt to So. FL that included Venice (found nearly 500 sharks teeth in our group of 4, including two youngsters, in just a few hours) and our very first visit to Sanibel and Captiva. We looked all over the island for Pam and Super Sheller Clark at each beach we visited on Saturday but no luck. The luck was limited to our shelling – we found a little of everything. Fighting conchs, juvies, wormies, shark’s eyes, a gaudy nautical, olives, urchins, sanddollars, whelks, and more! Gulfside City Park was awesome (but definitely smelly – we found chewing mint gum helped a little)! Can not wait to go back…hoping to plan another trip soon!